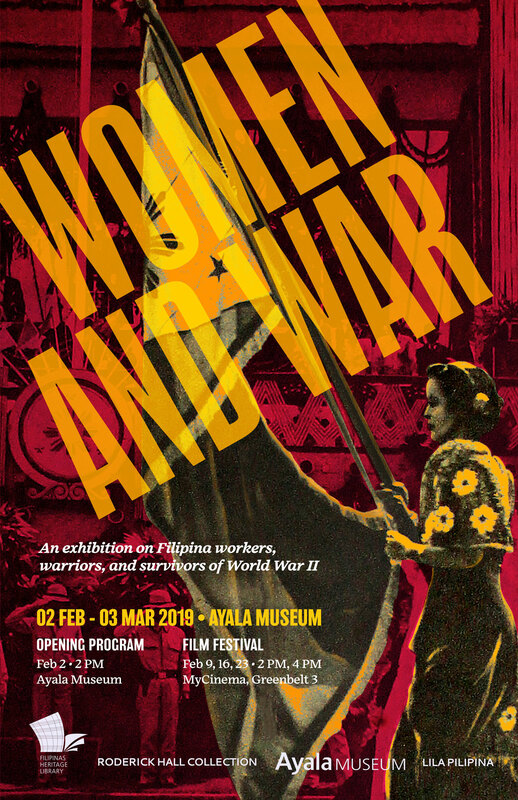 Held in conjunction with the WAR AND WOMEN Film Festival at Ayala MyCinema Greenbelt 3 on February 9, 16, and 23. The Filipinas Heritage Library houses the Roderick Hall Collection on World War II in the Philippines, which focuses on personal experiences, both civilian and military, within the Philippines during the Japanese occupation and the Second World War. Includes special collections such as the BGen. Francisco H. Licuanan, Jr. Collection of the Philippine Veterans Affairs Office (PVAO), including digital records of Filipino soldiers and guerillas; the Manuel L. Quezon Family Collection; Gen. Fidel V. Segundo’s wartime diaries; guerrilla war papers from the Silliman University and Central Philippine University; and a linkage to the University of Santo Tomas Internment Camp letters and documents. Also includes Japanese and Chinese publications on the subject.